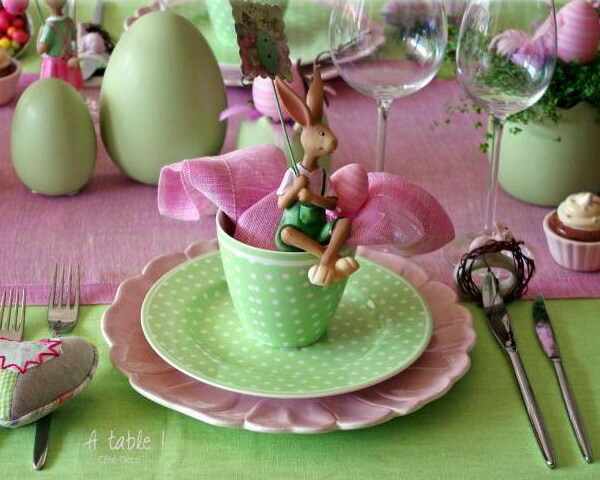 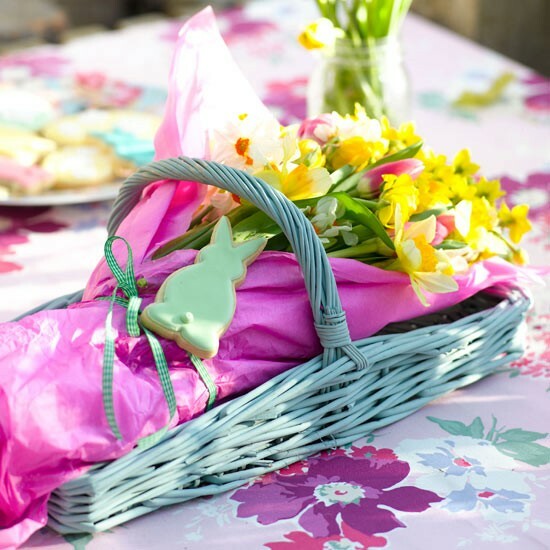 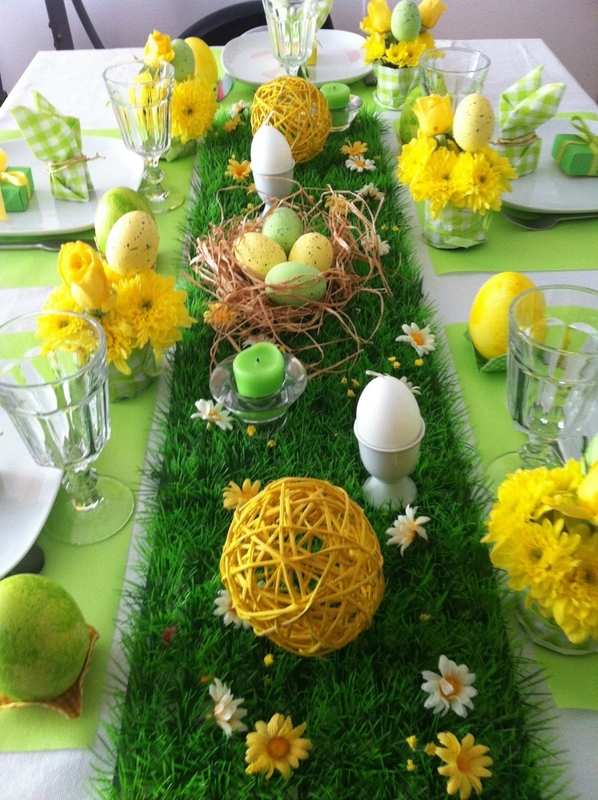 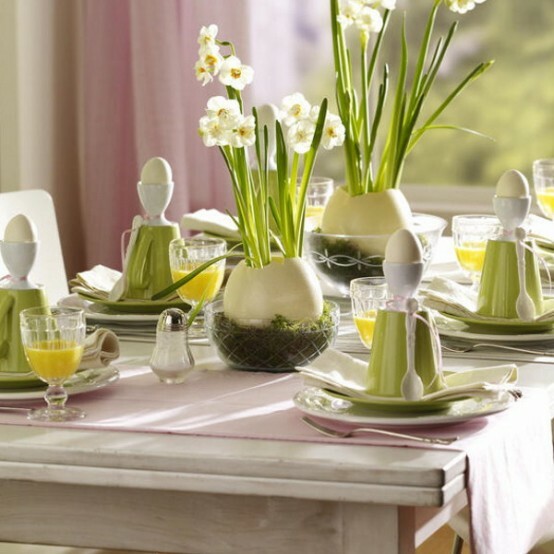 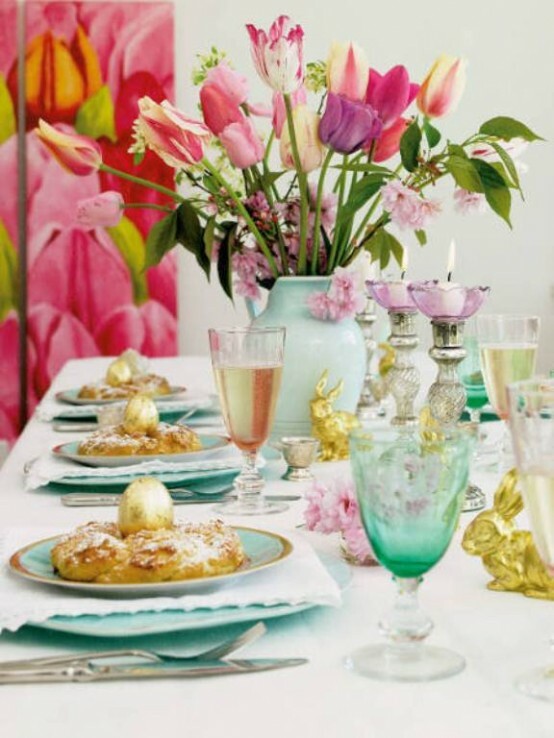 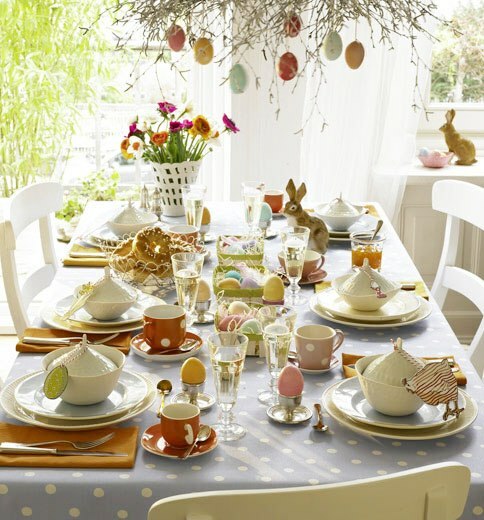 Several ideas on how to decorate our Easter table. 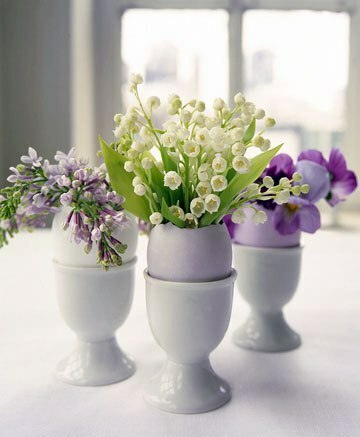 Freshness and festive mood with the scent of spring flowers. 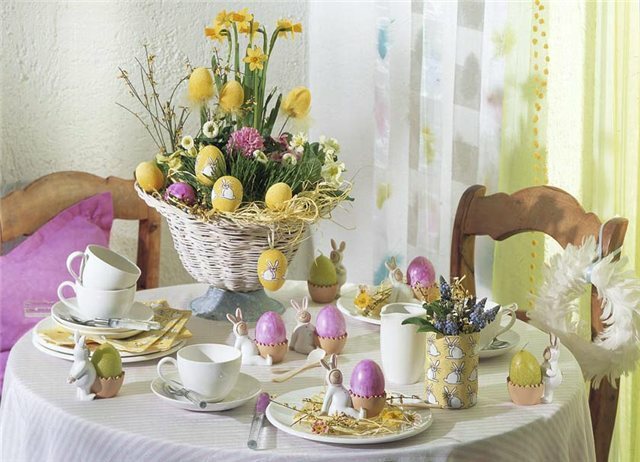 Interesting decorations with Easter eggs arranged in different ways - placed in nests, in a real garden of flowers on the table or served as a gift. 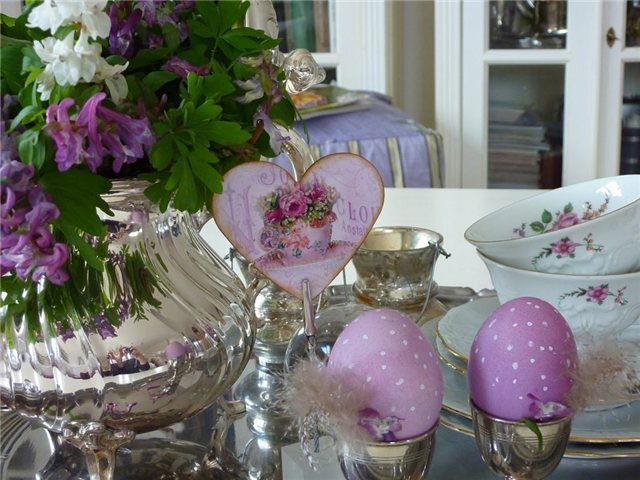 Wonderful idea is to wrap nest of willow branches, in the center, put a small pot with violets and spread beautiful Easter eggs around. 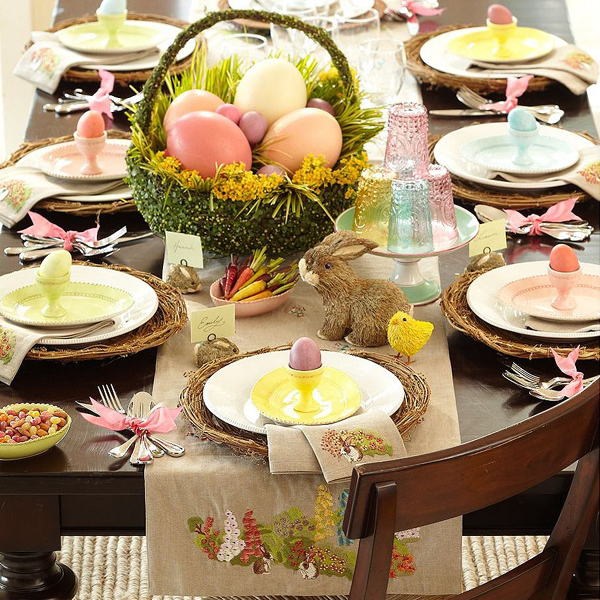 Another interesting idea for Easter table decorations is the use of egg shells, in which put a flower sprig and form a beautiful arrangement on the table or served individually to each guest.